I love these! I have a pair in my own collection and once saw a set in the Castle Museum in York too. 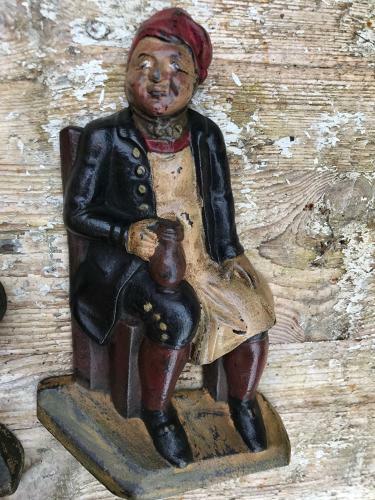 These hand painted pub figures were real characters always associated with English pubs and Ale houses. I can't remember their names but they are known figures. These cast iron flat back chimney ornaments would have gone over an Inglenook in an Ale house and date back to around 1800. So nice to have an original matching pair.